Since I was 12 years old, I've struggled with acne, blemishes, dry & oily skin problems. I tried popular consumer brands, such as Neutrogena & Proactiv, to Dermatologist prescribed products. None of them worked. They would either dry my skin, clog my pores or cause more breakouts, leaving me frustrated and desperate to find something that would work. 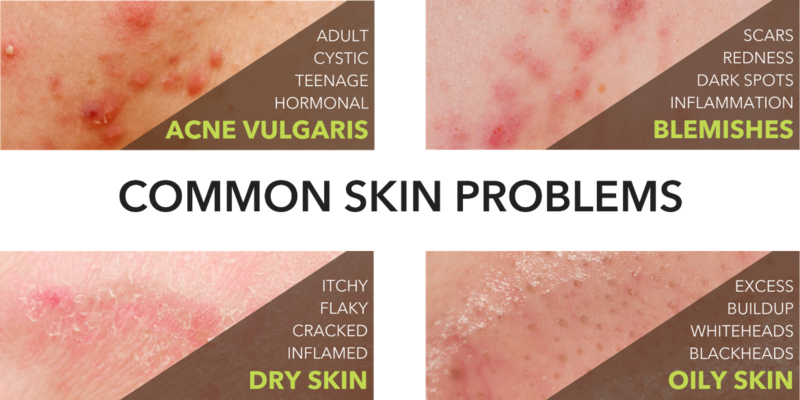 After 10 years, I finally stumbled upon the root cause of these common skin problems and created a safe, simple & highly effective solution that has continued to work for the past 2.5 years. Your skin is naturally acidic. 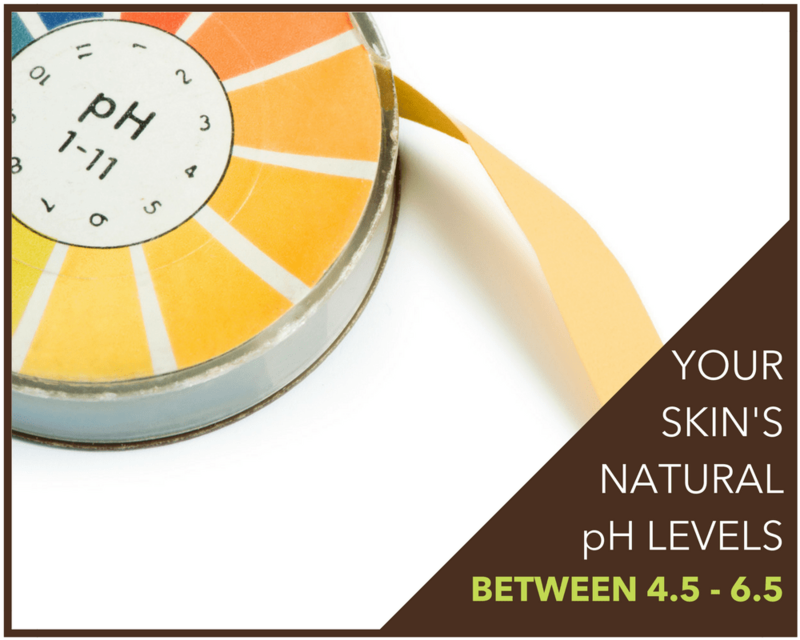 Just remember that your skin's naturally acidic pH levels are between 4.5 and 6.5, where slightly acidic is the most optimal for your skin. 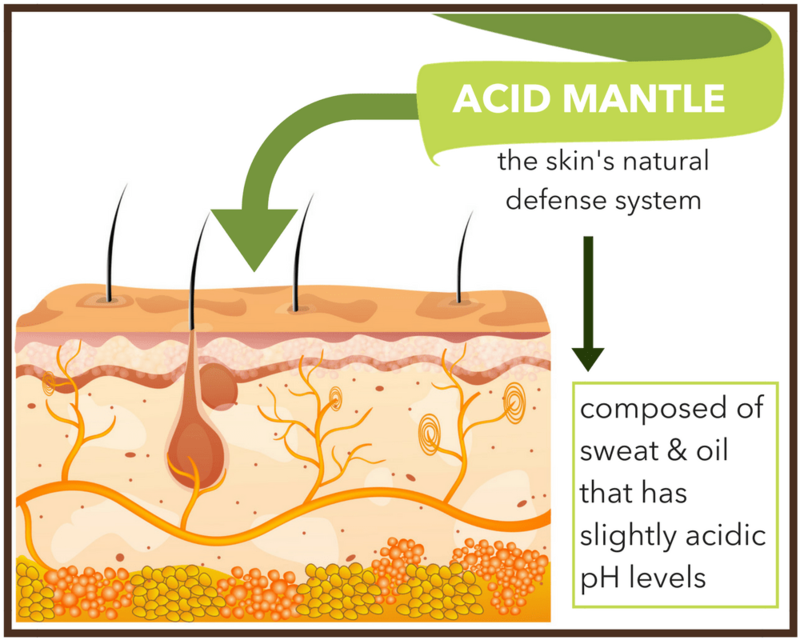 Within this acidic environment lies the acid mantle, which acts as your skin's natural defense system. The acid mantle is composed of sweat & oil that has slightly acidic pH levels. However, whenever we use products that contain harsh chemicals & ingredients, such as soaps, cleansers, or face washes, including "natural" and "organic" products, these products are meant to be alkaline in nature so that they can thoroughly cleanse the impurities from your skin. These products sound great for immediate cleansing purposes but actually compromise the long-term health of your skin. 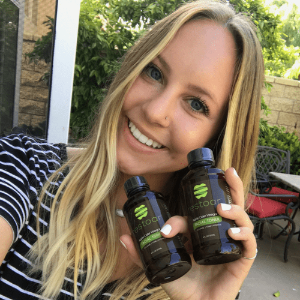 If you struggle with problem skin, by using these products on a daily basis, you are stripping the skin's naturally acidic pH levels, creating imbalance in the skin. 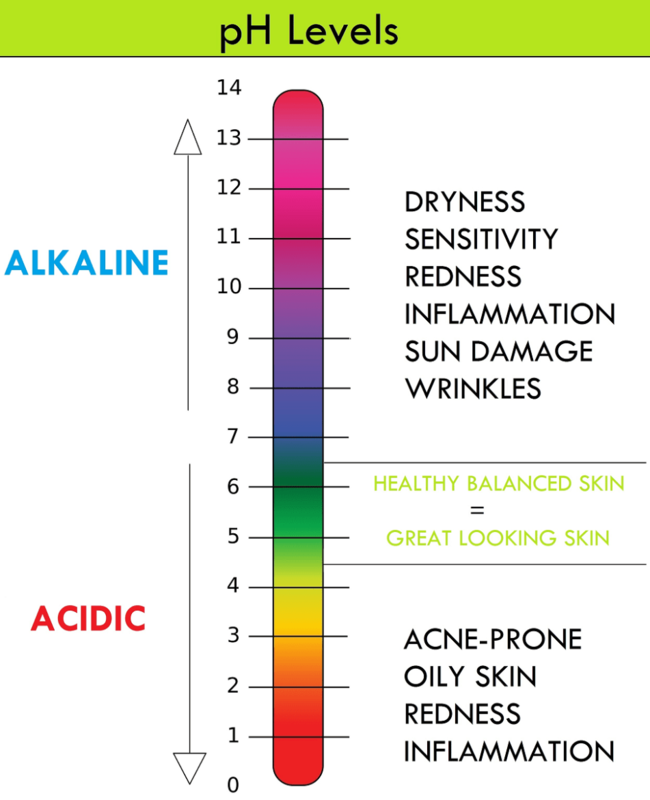 Now your skin is either alkaline or too acidic in nature, depending upon what products you use or the current state of your skin (you'll know what I mean below). 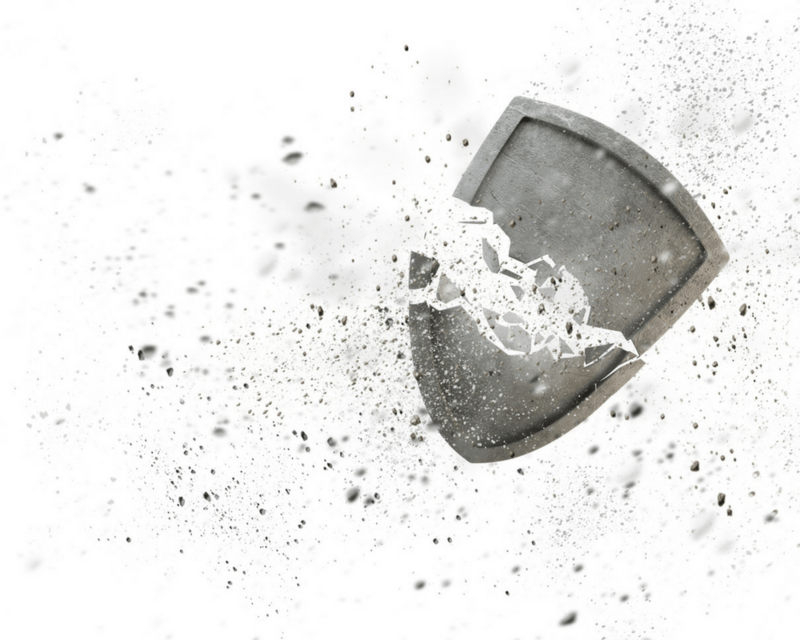 Because of this, the skin's natural defense system (acid mantle) is broken down & can no longer function properly. Furthermore, looking at the pH spectrum, the one common variable among common skin problems is imbalanced pH levels of the skin. When your skin is in an alkaline state, the following will occur: Dryness, Sensitivity, Redness, Inflammation, Sun Damage & Wrinkles. The skin's ability to retain its own moisture is further hindered the more alkaline it is, leading to the "dry skin" problems. When your skin is too acidic, the following will occur: Acne (adult, cystic, hormonal, rosacea, etc. ), Oily Skin (clogged pores, blackheads, whiteheads, etc. ), Redness & Inflammation. In other words, your skin will produce excess oil that will clog pores, leading to the various forms of acne, inflammation & sensitivity. In conclusion, the #1 reason why your acne, dry & oily skin problems occur is the result of an external problem: imbalanced pH levels of the skin. 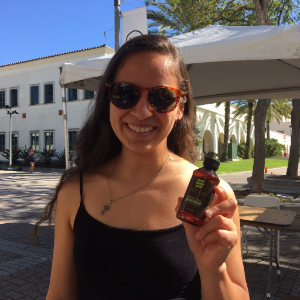 To learn more about how you can balance your skin's pH levels immediately to treat the root cause of acne, dry & oily skin problems, checkout the RESTOAR® Apple Cider Vinegar Facial Toner. 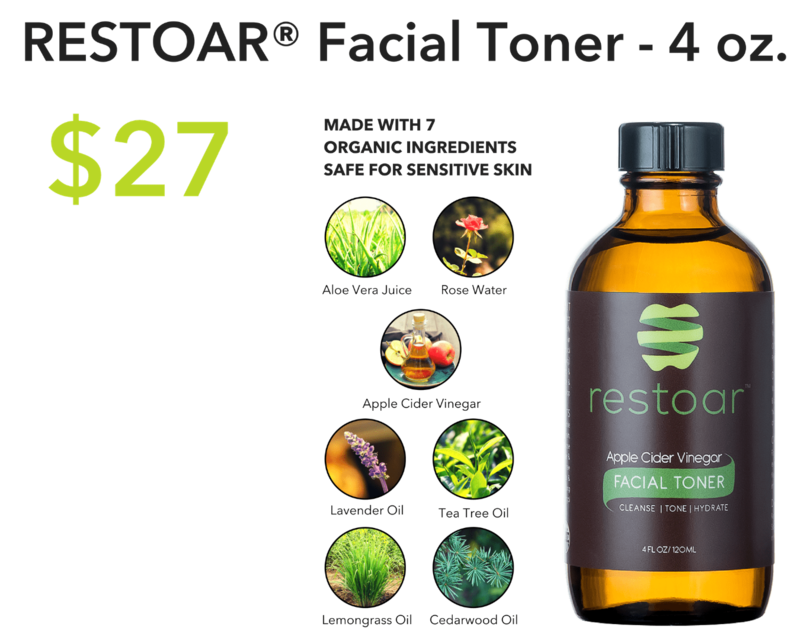 Try The RESTOAR® Facial Toner! You’ll love it. Safely clears acne, blemishes, dry & oily skin problems. 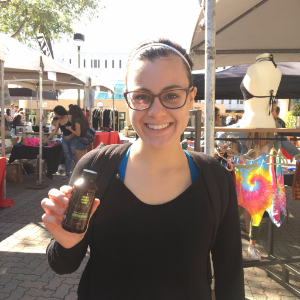 Leaves your skin feeling clean, refreshed & hydrated all day. So far this is the BEST product I've ever used for my skin! I suffer from hormonal & cystic acne and I was on prescription medication for a while but I stopped and those drugs had really bad side effects on me. I was really hopeless on this product or any other product I've purchased before but I decided to go for a more natural approach. And to my surprise this toner has given me great results! I've been using it since day one and its been exactly 8 days and my acne has diminished quite a bit! I am 44 and have adult acne. I have tried the way more expensive brands. They do nothing!! I have been using this for 2 weeks, once in the morning and once at night. My face is clearing up and all those little bumps on my cheeks are almost gone!! My face is no longer an oil pit! My facial powder now looks smooth instead of rocky road! I really do love this product and will continue to buy it. The mixture of rose water and essential oils creates a pleasant aroma and smell. Really masks the vinegar smell! I really love this toner & have seen great results in the short time I have been using it. This has done a great job of clearing up existing blemishes without drying out my skin. I have also seen a dramatic decrease in new blemishes since using this toner. I have been a fan of apple cider vinegar for a long time & have concocted my own toners with it in the past, but none of them worked as well as this one does. I find that this is a lot gentler & smells less offensive than store bough ACV. I am really glad I stumbled upon this product & will continue to purchase. I've been trying out different products to see what works best, and it seems like reviews are hit or miss on Amazon. Quite often I'll get a ~5 star rated product that just doesn't work well for me. Well, I'm thrilled to say that this Restoar ACV toner is as good as the positive reviews claim. I've been using it for about a month and it's great. I just rinse with water a couple times and then apply with a flat round cotton thing. it's giving me a nice glow. just bought 3 more bottles from their website. I do apply a moisturizer sometimes, not always, but most of the time after using this. 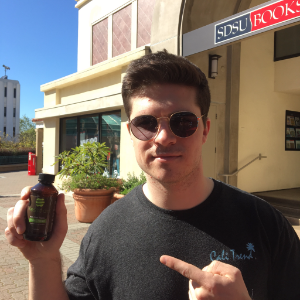 Take A Selfie With Your RESTOAR® Bottle and email to info@restoar.com for your chance to win! Love your skin. Love your health. Love yourself. Join the RESTOAR Community for new videos, eBooks, discount codes, and more! © 2017, Restoar LLC. All rights reserved. These statements have not been evaluated by the FDA. This product is not intended to diagnose, treat, cure, or prevent any disease.